The story of Olivia was pretty interesting and emotional as it involved her coming to terms with the death of her mother, Jane, to cancer and her dying wishes. Olivia has to not only deal with her feelings over losing her mother but she also begins to discover a whole other life and experiences that her mother had that she knew nothing about which must have been somewhat heartbreaking to discover. I would have rated Cancel the Wedding higher if I didn't find that the beginning was a bit confusing during the period when Olivia started to discover and understand her mother's past. If the details had to be revealed a little bit at a time then it could have been done in a way that was more logical or at least not so trying at times to follow. The story of Olivia's life becomes as tangled and complicated as her mother's past, which is saying something. Riddled by doubts, the revelations about her mother's life help her to ultimately come to terms with her own and make some important decisions. 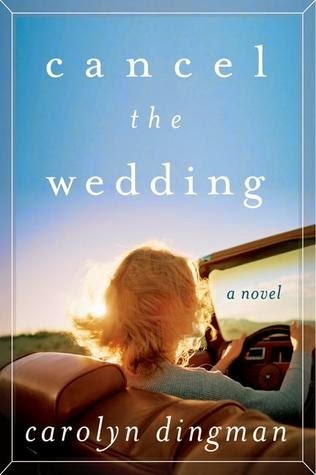 A fascinating read with complex twists and turns, Cancel the Wedding is a book for someone who likes a little mystery in their story.